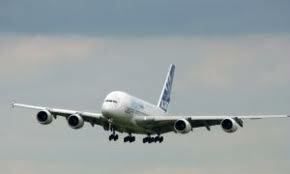 VWM’s dedicated solutions for CNC machining aluminium and composites in aerospace applications. Complex shapes and forms within the aerospace industry may require 2 ½ axis to 5 axis machining for the proper form and fit of components in assemblies. We specialise in providing high quality bespoke manufacturing solutions: heavy-duty three to five-axis machines. Our machines are designed for high performance, efficiency and high reliability. The VWM range of machine structures are designed to be adapted to provide the optimum manufacturing system, engineered for each individual set of manufacturing requirements. There are many aspects to be evaluated carefully to provide a “turnkey solution” to our customers. Including the process where the machine has to operate, the cube dimensions, the tolerances requested, the type of material and its specifications. Other consequent aspects are the software, fixtures, clamping system, chip / dust collection, conveyors, positioning systems, component handling and other automations. VWM’s high speed spindles are designed for machining aluminium, profiling and cutting titanium, and other alloys or composite / alloy compounds. 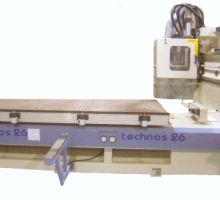 The CNC systems are similarly specified for efficient and trouble-free high speed manufacturing, and are specified for processing intricate tool paths, with large NC files, at the highest cutting speeds. Software aspects and CNC logic are also carefully analysed to provide the customer with a perfectly integrated solution. Various specific solutions are available to enhance productivity, ease-of-use, safety, reliability and flexibility. VWM specialises in producing customised solutions for machining aluminium, aerospace details, the customer-specific process and product specifications. The machine’s welded and heat treated steel structures are designed for heavy-duty operations, and rigorously analysed to ensure the structure provides the dimensional stability and rigidity necessary for high speed, high precision applications. VWM high speed spindles are designed for machining aluminium panels at incredible speeds with an efficient chip extraction system and with an unbeatable edge quality. CNC Machining of aluminium’s and exotic metals. Powerful heads (including torque type) with high power/torque spindles.